Selected Villas for rent near Atma Jnana Yoga (Koh Samui) - Contact us now! 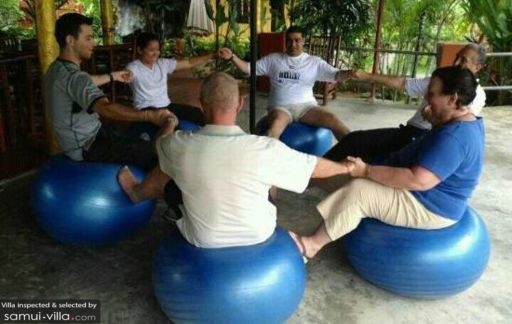 Apart from Hatha Yoga classes, Atma Jnana Yoga also offers courses teaching the intriguing-sounding balance ball yoga. Classes do not stop when travellers leave the studio or Samui, as the instructor, Akis, also offers online yoga sessions via Skype. The studio may not boast a fancy setting, but it delivers with top-notch yoga classes taught with skill and expertise.